You know I just couldn’t end my day without spending time with all of you who have grown to hold sucha special place in my heart. First, I have to say that Nick’s journey may have ended in a physical sense today, but Nick’s journey is only beginning in a spiritual sense. While my heart is literally torn in two, I know deep inside that Nick is with His Heavenly Father…………safe in the arms we have all laid him in time and time again in prayer. And Nick’s journey will continue here on earth as well. A foundation will be beginning in Nick’s name. Through this foundation Nick’s life will touch others for years to come as we give college scholarships, promote literacy in children, minister to hurting families and sick children, and help support missions worldwide. Nicholas Yancy Nischan stil has work to do! Second, I have to share with you a little about the past couple of days at our house. All of our kids have been home, which in and of itself has been wonderful. Erich, our oldest son who is a junior in nursing school, has been more help than I could possibly EVERY put into words. Nick’s health had weakened to the point that we could not have made it without Erich’s strength, knowledge, and love for Nick. Evan’s humor kept Nick’s spirits up on many occasions. Todd and Olivia continued with their “normal” activities of computer/cell phone life (Todd) and sleepovers and basketball (Olivia). I believe that these normal events also kept Nick’s spirits up. One evening a little friend of Olivia’s stayed all night and we made gingerbread cookies. I came down and asked Nick if he would like to make one if I brought him a pan and a cookie cutter. He said, “no,” until Mamaw had the great idea that he could give the gingerbreadman a gun! Nick cut out a man and Mamaw helped him create a nice-sized bazooka in one of its arms! He was able to eat a little for Thanksgiving dinner and then of course we watched the Titans have their 11th victory!!!!!!!!!!!!!!!!!! With a score of 47 to 10!! I of course loved the numbers, and Tim told me later that Nick was so glad the Lions didn’t score 1 more point! He knew I would have totally flipped out then. But truthfully the 47 points combined with the 11th win was enough for me to know that God was with us in a very special way. Nick napped off and on throughout the afternoon, and then late in the day, as I was sitting by him holding his hand I noticed that his hands were tightening up and he kept looking over at me but not really talking. I felt very nervous and honestly thought that maybe he was going to die at that time, but mom said she thought he was having a seizure and we were able to give him some medicine that really relaxed him. We called Martha, my very dear friend who has been such an unbelievable nurse to Nick over the past few weeks. She and Linda (our other special nurse and friend) came within minutes and stayed for a while to make sure things were okay. I did not want to take Nick to the hospital……the thought of having him endure any needles was more than I could bear. Nick fell to sleep peacefully that evening, but on Friday morning it was apparent that Nick was not waking up from his sleep. It was as if he were in a coma. All day long he slept without responding to us when we would talk. The boys would take turns talking to him and they even brought Rock Band down to the room with him and played for a while hoping he would hear and want to wake up and be a part of the action. Friday night at midnight, Mom, Erich, Tim, and I were still up (Olivia had gone to stay at a friend’s house) and I had bought the movie, “The Nativity” which we decided to watch. It was such a beautiful reminder of the amazing plan God had in bringing His Son into this world, and I just hope and pray that Nick could hear the movie as he slept there with us watching it. This morning, Nick’s breathing seemed much more strained, but he still would not respond when we talked to him. Evan, who normally sleeps in very late, was up by a little after 9 and was sitting right at Nick’s head just watching him and touching his shoulder. I came down and suggested Evan get under his feet and rub them for a while. I looked down into the room a bit later and Evan had leaned over on Nick and was holding hand and was sleeping. I wanted to take a picture, but I chose to just take one with my heart. It just didn’t seem right to violate that moment for Evan. But I couldn’t help but think of the verse that says Mary, “pondered all these things in her heart.” That is what I have tried so hard to do this Thanksgiving break….simply ponder and soak up every precious minute. Every single word. Around 11 (I think), I had been outside talking to mom for a minute on the porch about Nick’s condition and then came in to give him another kiss. I noticed that something did not seem quite right and went to get mom. I called Martha and a couple of other people from church and they were at our house within minutes. It was amazing how Nick seemed to know that the stage was set for his beautiful departure to glory. Erich came to hold his hand and was crying, Todd came down beside him and cried harder than I have ever heard him cry in my life, Evan sat at Nick’s side and held onto him crying, Caleb (Todd and Nick’s buddy from birth sat right there along with us), and my brother got there in time to be with us too. Tim was at Nick’s head and I was at Nick’s side……………It was so hard to let go and whisper in Nick’s ear that it was okay to go. I reminded him of Bill Leamon and John Mark Pemberton….I asked him to take care of Adrienne until we get there………….I told him we would be there soon. Mom sat at Nick’s feet and told him she loved him too. It was a moment in time that I will hold close to my heart every minute of every day for the rest of my life. Nick simply began breathing less and less frequently until he took his last breath. From that moment on our house has been a constant whirlwind of friends and family. We are sure that at least 100 people have been in and out of our home today. We feel so loved and so thankful. I have so much more to say, but I know that I am already going to be in trouble for the hour at which I am writing this. For tonight, I have to say this, Of all moms ever handed a child, I consider myself one of the most blessed to have been handed Nicholas Yancy Nischan, my sweet Nick. Oh, please know that I have cried so many times today. I will share tomorrow about Olivia’s learning of Nick’s passing. Tonight as I went up to get my computer, I saw Nick’s cell phone lying on the table still hooked to its charger from Thanksgiving Day. I just broke down in my mom’s arms. Oh, I love Nick so much. I will miss him more than words can ever say…..EVER SAY. However, I am determined and committed to being the vessel through which Nick’s testimony and love for God will touch lives from this day forward. I will share more with you later about how you can be a part of Nick’s continuing journey. Olivia so sweetly said tonight, “I would love it if Nick showed up at his foundation.” Then she said, “He probably won’t though.” It was so precious. She misses him so much. I told her Nick will be everywhere we are. At every game, every concert, everything. Oh, I love you all so much. I have a lot to learn about prayer and miracles and times when prayers seem to not be answered in the ways we desire………….. I hope and pray that you will walk this chapter of Nick’s journey with me as faithfully as you did the first. Thanksgiving was full of mixed emotions for our family. Nick was able to watch the Titans win over the Lions! That was exciting! My mom, dad, and brother were all here with us, so we enjoyed simply being together. But Nick seems to be getting weaker and weaker. It is 6:53 on Friday evening, and Nick hasn’t woken up at all today. He is sleeping peacefully on the couch. But when we talk to him, he seems to just keep sleeping. The boys brought Rock Band down to the room Nick is in, and they tried to liven up the room with some music and laughter. They all take turns talking to Nick which is so sweet to watch. Friends have stopped by from time to time all day to pray with us, or check on Nick, or hug us, or help with laundry, or whatever they can think of at the moment. I find myself with Bible in hand every time I sit down. Trying to stay focused on eternal promises. Trying to find my trust and confidence in God’s Word and it alone! So, for tonight, I ask you to please, please, please, pray for Nick. I still believe he can wake up and shock us all! I still believe in miracles! I praise God for the fact that Nick is not hurting. He is sleeping so peacefully and calmly. It brings comfort to my heart just knowing that. Nick was determined to sleep in his bed tonight which meant going up a flight of stairs which he has not attempted in about two weeks. Erich, my oldest son, was such an encourager practically carrying him as they made it up the staircase together. Nick was so out of breath at the top of the stairs, yet he managed to walk to his bed and get into it before giving up. Where does he get his determination? Where does his will to conquer the unconquerable come from? How does he stay so funny in spite of his physical battle? Nick is handling this journey better than I am right now. He just amazes me. Here I sit, fighting back tears and wanting to scream while he is sleeping oh, so peacefully, in his Titans’ bedroom. Thoughts and emotions are swarming inside of my head. The fear of getting stung by any of these thoughts or feelings keeps me running. It’s as if one thought that is frightening flies through my head, and I shoo it away just in time for another to take its place. There is a fine line between holding it together and having a nervous breakdown. A very fine line. I sometimes think I teeter there. Then I look at the clock and realize that most normal people are asleep by now (no offense if you are still awake), and I justify my wandering mind as a symptom of fatigue. Sleep doesn’t always come easily when you know the sun is coming up to a home that holds a child fighting for his life. Cancer seeks my life in an emotional sense. Cancer seeks Nick’s life in a physical sense. I know that ultimately cancer will be destroyed. It will go down to the depths of the earth. Until that day, I must cling to God, trusting His right hand to uphold me. So, I head to bed and literally remember God through the watches of the night. He does cause me to sing in the shadow of His wings. Thankful for each of you who lifts our family up even through the night……..
Thankful for Nick’s determined spirit……..
Thankful for Erich’s tender brotherly love………. Thankful for Olivia’s sweet heart……..
Thankful for my mom who shares this journey so closely with me………. Thankful for my husband who endures my mood swings (who else would?)……….. Thankful for you and Happy Thanksgiving! May your day be filled with love and laughter! As I was reading the Bible this morning, working my way through the book of Acts, my eyes stopped on this verse above and I sat their speechless wondering what God was trying to say to me. I’ve never thought about the view of the wilderness from God’s perspective. I’ve always imagined the Israelites wandering through the desert, following a cloud by day and fire by night, trusting God for manna as their daily food. But I’ve never thought about what God saw from the other side of the wilderness. I guess I always thought God was proud of them for trusting Him for food and for continuing to walk day by day for forty years. I guess I wanted to forget about their grumbling, their complaining, their moaning, their quick decision to create a new “god” when things got rough. God was gracious to “endure” their time in the wilderness. So, today, I think God is saying that He is with me and you, enduring our times in the wilderness. After all, He sees the big picture. He knows that He will meet all of our needs just when we need them….sometimes not when we think we need them, but always WHEN WE DO! He longs to be our ONLY GOD………and oh, how quickly we can turn to material things, other people, books, authors, etc., for the support and love that can only come from God. So, today, as I step out to face another day of uncertainty with Nick and while I may feel that I am “wandering in the wilderness,” I am thankful for a God who endures my imperfections as I often doubt, question, worry, get angry, feel alone, and the list goes on and on. As Thanksgiving quickly approaches, what a perfect time for God to lead me to a passage that reminds me that I have so much to be thankful for even in the wilderness. And at the top of that list, I am thankful for a God who loves me through the good and the bad days and endures my behavior! I am thankful for each of you, too, who choose to visit my blog and in a very real way join me in my desert time. Thank you. Nick slept well last night. Mom and I just helped him get on clean jammies. He was stronger yesterday than Monday. Praying for a stronger day today. 8 Trust in him at all times, O people; pour out your hearts to him, for God is our refuge. I woke up this morning to the words, “Nick needs to go to the bathroom,” and from that moment on the day has not stopped. Tim, Mom, and I got Nick cleaned up and moved downstairs to the new room and once I knew he was settled and comfortable and had had his medicine, I dove in to some much-needed tasks around the house. Mom spent the morning sitting with Nick. My oldest son (Erich) is home from college, and he hung out with them too, being such a great big brother and amazing nursing student all rolled into one! I am so thankful for his knowledge and his love! Tim ran some errands while I purged our refrigerator, freezer, pantry, and some cupboards. It felt so good to get something productive done! I even pulled out our computer desk and untangled cords that have been driving me crazy for months! We were suppose to be leaving tomorrow to spend Thanksgiving in Detroit with our dear friends Mike and Koren Furrey. Mike is a wide receiver for the Lions and we were going to be watching the Titans (Nick’s favorite team-sorry, Mike) play the Lions (Erich’s favorite team) on Thanksgiving Day with the Furreys. Unfortunately Nick is just too weak for the trip. Our other boys would not go without Nick, so we will be spending Thanksgiving at home watching the game from our family room. It won’t be the same, but I just have to believe deep inside that God will bless Nick and our other boys in tremendous ways through this disappointment and their amazing spirits of understanding. Ladies from our church are already blessing me and my mom by taking away the burden of preparing Thanksgiving and literally “delivering Thanksgiving” to us on Thursday morning. Wow! What a ministry of love. I want to remember this so that one day I can pay it forward to another family who is going through a hard time. But, anyway, back to my day……. because we are going to be here and the meal will be spread throughout my house, I just had to regroup in the kitchen. So I dug in, and as they say in our area of the United States, I “got-r-done.” Thank you, Lord. I thought of all of you-Nick’s prayer warriors as I worked my way through the kitchen. I imagined all of the beautiful prayers going up for him, and I just KNEW that God was listening because Nick is stronger today than yesterday. His color looks good. He still has a sense of humor. He slept last night with NO Tylenol for pain! Amazing! I am so thankful. So, as I stumble through life right now, trying to make sense of the uncertainty we face every minute, I am thankful that my toe ran smack dab into this Rock of Remembrance! God planned this toe-stubbing. I just know it!!! As you stumble through your day, I pray that you ram your toe into just the right Rock too! And I hope the impact is so strong that you notice and take a minute to reflect on the mighty Rock that never moves and that never changes. Thankful for a Mighty Rock! Nick slept most of the day away. When he was awake, he was very weak. We were sure to have him drink every time he was awake, and thankfully, we were able to get him to eat a little too. You don’t realize how important things like drinking water can become until someone needs to be reminded to drink. Our biggest concern at this time is a place on Nick’s head that has been bleeding. Our wonderful friend, Martha, who is an ER nurse comes every day to check on Nick and has been able to help us keep this under control. She was at our house last night til after midnight. Oh, thank you, Lord, for Martha! Tonight, I am so thankful to say that Nick went to bed with no pain in his legs or back!! Thank you, Lord! When you are with him, you just know that he is being ministered to by angels. He radiates peace. He apologizes for anything that inconveniences the person helping him. He gives a “thumbs up” when asked how he is doing. He waves the “I love you” sign across the room when one is waved at him. So, when I read the verse above, I knew deep inside that Nick must truly fear God; because God is so tender and compassionate with Nick. As I go to bed tonight, I have to admit that for me today has been so very hard. I cried in the shower this morning. I cried several times throughout the day while alone in my bedroom. I have wrestled with many different emotions from anger to sadness to fear. But, I can say without question that as I head off to bed, I feel a sense of peace knowing that as much as I love Nick as his mom, the Lord loves him even more and is like a father to him…….tender and compassionate. What more can I ask for? The Great I Am calls and treats my son as His very own! I don’t know what tonight or tomorrow holds………but I know who holds tomorrow. And so I am holding on………………………….to the Master’s hand! Praying that all of you are holding on as well! Thank you for every prayer! I am still praying for and expecting a miracle! I don’t have time to write a lot, but I did want to ask all of you who stop by to especially lift Nick up to our Heavenly Father today. Thankful for each of you who shares life with our family. As I reflect on this passage, I too feel much like this psalmist who often struggles to have his soul comforted. I am so thankful for great men of old who poured out their hearts so honestly and openly. Because of them, I can face my modern-day sea of mighty waters where God’s footprints often cannot be seen…..
knowing that just as God led his “people like a flock by the hand of Moses and Aaron,” He is leading me today. Take the hand of Moses or Aaron (or any other wonderful man or woman of faith who makes up our great cloud of witnesses – Hebrews 11) and keep on keeping on!!! What does a zebra have to do with anything?!?! 4Surely he hath borne our griefs, and carried our sorrows: yet we did esteem him stricken, smitten of God, and afflicted. 5But he was wounded for our transgressions, he was bruised for our iniquities: the chastisement of our peace was upon him; and with his stripes we are healed. to being rear-ended yesterday while at a red light by a girl who was living out of her car…..and who ended up coming to our home for a shower and to do laundry. I am praying that she will be coming to church Sunday (PLEASE PRAY-Our church is now trying to help her get an apartment and furniture) and PRAISE GOD-My van shows no signs of the impact! 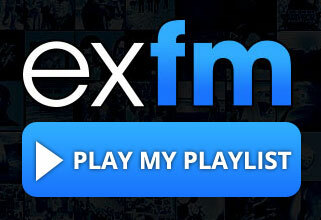 and the list goes on and on and on…………………. So as I sat here today wanting to share what is on my heart, the word “STRESSED” just came into my mind so quickly that I had to do a little image search. When I found the picture above, I couldn’t help but feel it was a little comedy relief from God! 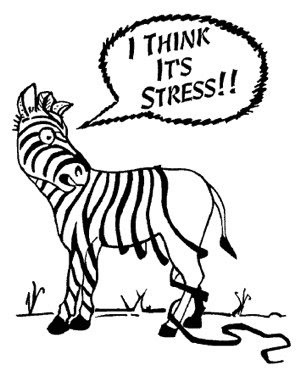 See, one of the ministers who prayed with Nick this week used the verse above (“with His stripes we are healed”) in his prayer and when I saw the picture of the zebra with the stripes falling off due to stress, I had to laugh out loud. 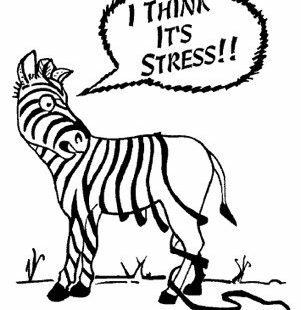 Serving a Savior who allowed His stripes to heal us can sometimes lead to a little bit of “earthly stress” where if we were zebras, we may very well LOSE OUR STRIPES! Losing ourselves in order to find Him! I don’t know about you, but sometimes when I try so hard to “lose myself” in Him….the devil just loves to add a little stress! So, I have decided that the next time I feel shortness of breath and a slight headache from all the things facing me, I am going to remember the picture of the zebra and smile. And then I am going to remember what Jesus did for me on the cross. Trying to lose my stripes and remember His! for they had not understood about the loaves…. Last night five of my friends traveled with me to a church about 30 miles from our home that I had been told of an email from a nurse who knows of Nick’s situation. She felt led to invite me to her church as she said the “Spirit was moving in great ways!” How could I not go?!?! The song service had me in tears. Surrounded by people who were praising God with all of their hearts and souls just overwhelmed me! Then the minister said, “Tammy Nischan, can you come up here for a minute?” (He had been told of my presence before the service began.) In tears, I walked to the front as he shared with the congregation about Nick’s fight with cancer. He then asked people to come pray with me and asked everyone who had had a child with cancer to come pray with me. I don’t even know what happened for the next few minutes. I was surrounded by people crying and praying, and I was crying too. It was amazing! As I went to my seat, I knew that God was working in mighty ways, but I didn’t realize that the best was yet to come! In the sermon, the minister spoke of Jesus’ temptations in the wilderness and how the Bible says that when He left the desert he was filled with the POWER of the SPIRIT! He then went on to share that what the devil doesn’t realize is that when he tempts us or tests us and we are able to overcome by the power of the Word we are actually EMPOWERED and FILLED even more with the Spirit. Ready to do bigger and greater things. God “uses” the devils deception for His glory. God gives us the ability to withstand all temptation and every test and provides a way out of EVERY struggle. When we rely on His Word and do not give in to the devil’s schemes, we are then filled with more power! The way we make it through our “next test or next temptation” (because there will be one) is by remembering what God has done in the past for us! He told the story of the feeding of the five thousand and how right after this amazing miracle (which is the only miracle recorded in all four Gospels), the disciples gather up twelve “extra!” baskets of bread and head out on the sea. A storm develops and immediately the disciples are full of fear! Are you feet propped up on things God has done for you and yet you are still afraid, discouraged, lonely, depressed, angry, or sad!?! I have had a basket of God’s great works right under my feet and yet I have been feeling fear and depression. My prayer today is that all of us will look down and see what our feet are resting on and in that moment find peace for the storm we are facing! Jennifer, you were right! This just had to be a blog post! I love you!